Adult summer camp is what we call it around here. Mallard Creek Golf & RV Resort is no longer a hidden gem, we’ve been found! 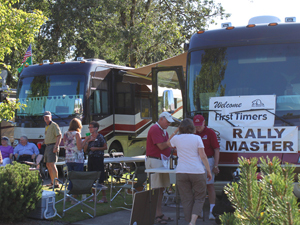 We are located in the beautiful Willamette Valley, know as Oregon’s wine region and Mallard Creek has been featured as one of Good Sam’s Top 100 RV Parks in North America. While this is a great honor, there is nothing we value more than the opportunity to serve our guests. 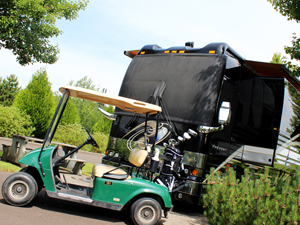 Our on site RV resort has 43 sites with a blend of pull through and back in sites. Each of our sites have their own lawns, full hook-ups, cable access, and wifi. You can view our SITE MAP here. Please remember reservations guarantee a site, not a site number. 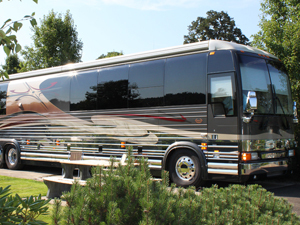 Stay & Play Packages at Mallard Creek are the main attraction for our RV guests. Two night, weekly and monthly packages are available. They include site rental and unlimited golf. Are you a Wagon Master looking for a gathering place for your group outing? For groups large or small Mallard Creek is the ideal location for your next rally! Shoot us and quick EMAIL to check site availability. 3 night minimum for Memorial Day, 4th of July, Labor Day and other special event weekends (Jamboree). A $100 non-refundable deposit is required. Nightly & Two Day Stay & Play – A deposit of 1 nights stay is required for all reservations. Cancellations made within 30 days are completely non-refundable. Weekly Stays – A deposit of $150 is required for all reservations. Cancellations made within 30 days are completely non-refundable. Monthly Stays – A non-refundable deposit of $150 is required for all reservations. A full month’s payment will be required 30 days prior to your stay and will be non-refundable at that time. We are sorry but there is NO REFUND for early departures.